Born: 17 April 1666, Dordrecht, Netherlands. Died: 6 July 1727, 's-Gravenhage, Netherlands. Fran�ois Valentijn, celebrated Dutch traveller and author, was the son of Abraham Valentijn and his wife, Maria van Rijsbergen. After attending the Latin school at Dordrecht he started studying Eastern languages, philosophy and theology at the University of Leiden before his sixteenth birthday, and in less than three years completed his examinations as a candidate for the ministry. In February 1685 he sailed for the East as a qualified minister in the service of the Dutch East India Company, staying at the Cape of Good Hope for 30 days before continuing his journey. He became a minister at Ambon, a small island just south of Seram Island, Indonesia, though from July 1687 to 1688 he served on Kepulauan Banda, south-east of Ambon. He became fluent in Malay and in 1689 started to translate the Bible and other religious works into Low Malayan and to compile a Malay-Dutch dictionary, though these works were not published. On 12 October 1692 he married Cornelia Snaets, a wealthy widow, with whom he had five children. Valentijn returned to the Netherlands in 1695, after again touching at the Cape, this time staying for 51 days. He lived in Dordrecht and described his stay in the East in Uyt en thuysreyze (Outward and homeward journey). In May 1705 he returned to the East in the service of the Dutch East India Company and visited the Cape for the third time, for 39 days. After spending six months on his translation of the Bible he served as an army chaplain in Eastern Java, but in March 1707 returned to Ambon. Some years later he refused an order to go to Ternate and as a result lost his post. After some time at Batavia (now Jakarta) he returned to the Netherlands in 1714, spending 70 days at the Cape on his fourth visit. He again settled in Dordrecht, where he wrote a monumental work on the East, Oud en Nieuw Oost-Indi�n, vervattende een naaukeurige en uitvoerige verhandelinge van Nederlands mogentheyd in die gewesten... (Old and New East India, including an accurate and comprehensive account of Dutch supremacy in that region; Dordrecht, 1724-1726). It comprised 5 parts, but was published in 8 volumes, richly illustrated with drawings and maps. The Moluccas (or Spice Islands), which he knew best from personal experience, were described particularly thoroughly, while Java, Sumatra and Borneo received less attention. He did not explicitly acknowledge many of his sources, but this was more acceptable in the intellectual climate of his time, particularly since some of his information might have been regarded as sensitive by the Dutch East India Company, or useful to rival concerns. His style of writing varied from formal to informal, his presentation was uncritical, while his reading of some sources was superficial, leading to wrong conclusions. None the less his work has proved a gold mine of information for researchers and has been referred to as the "Encyclopaedia of the Dutch East Indies". Several parts of this work were published separately, among them Verhandeling der zee-horenkens en zee-gewassen in en omtrent Amboina en de naby gelegen eylanden (Treatise on the shells and sea plants in and about Ambon and the nearby islands; Dordrecht, 1726; from Part 3 (2), pp. 517-586). In the fifth part of his work he described the Cape of Good Hope. Though he did not travel beyond Stellenbosch and Hottentots Holland during his visits, his friend, Governor W.A. van der Stel*, made various official documents and maps available to him for study. Other sources included personal observations, information supplied by various residents, and earlier publications. His account of the Cape is thorough and generally reliable, reflecting his tireless collection of information. It includes a detailed description of Cape Town, illustrated by a map compiled in about 1695 that is cartographically poor but of historical importance; a description of the company's gardens, including the collection of stuffed animals kept there and an extract from the herbal of H.B. Oldenland*; the history and administrative development of the colony; settlements in the interior; descriptions of various important contemporary events; an account of the Hottentots and their culture; descriptions of some animals found at the Cape; an account, slightly more detailed than the official report, of Simon van der Stel's* expedition to Namaqualand in 1685; and an account of the journey of J. Starrenburg* to the Olifants River. A map of the colony is included, which is mainly a compilation from earlier maps and not of great cartographic importance. In several details it was inaccurate; for example, it placed Cape Point half a degree too far south, at the same latitude as Cape Agulhas. A large inset map with its own title depicts the south-western Cape and includes the positions of farms and the names of their owners. His account of the Cape is an important source on the early history of the colony and has been edited, annotated and translated into English, and published by the Van Riebeeck Society under the title Beschrijvinge van de Kaap der Goede Hoope met de zaaken daar toe behoorende/ Description of the Cape of Good Hope with the matters concerning it (Cape Town, 1971, VRS Series II, No. 2 and 4). In 1726 Valentijn moved to 's-Gravenhage (The Hague) where he died the next year. Beyers, C.J. Die navorsingswaarde van die oudste kaarte van Kaapstad. South African Archives Journal, 1965, No. 7, pp. 38-44. Nieuw Nederlandsch biografisch woordenboek. Leyden: Sijthoff, 1911-1937. Valentijn, F. Beschrijvinge van de Kaap der Goede Hoope met de zaaken daar toe behoorende. Cape Town: Van Riebeeck Society, Series II, Vol. 2 & 4, 1971. 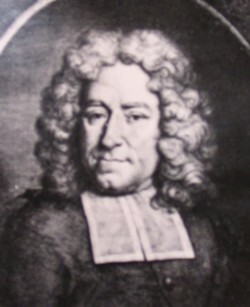 Van der Aa. Biographisch woordenboek der Nederlanded. Haarlem: J.J. van Brederode, 1852-1878. Reprinted Amsterdam: B.M. Israel, 1969.